As a student at Franklin & Marshall College, Bob Brooks '66, P'98 was a member of the men's varsity tennis team, and as a successful businessman and investor, he later acquired partial ownership interests in professional baseball and hockey teams, Pittsburgh's Pirates and Penguins. But with their latest gift to his alma mater, Bob and his wife, Sue, are extending the family name to embrace two more sports — football and lacrosse. The Brooks' recent $1 million gift to F&M provides additional philanthropic support for Shadek Stadium, the College's new multipurpose athletic venue and home for the Diplomats football and men's and women's lacrosse programs. Their gift supports specifically the facility's state-of-the-art scoreboard that anchors the southern end of the stadium — and which features a large Diplomats logo on the side facing campus and Harrisburg Avenue. Shadek Stadium opened with great fanfare last fall during Homecoming & Family Weekend — including by a 56-0 gridiron victory over Centennial Conference rival Dickinson College — and hosted its first lacrosse action, a men's and women's doubleheader, on Feb. 24. The lacrosse teams will celebrate their new home in Shadek Stadium with the community during another doubleheader on March 24. Including the Brooks' gift, the College has now raised nearly $16 million for the stadium, exceeding the original $14.5 million fundraising goal. Indeed, limiting the College's need to invest institutional dollars in support of the roughly $19 million stadium was a primary motive for the gift, according to Bob Brooks. He was also eager to honor his longtime friend and fellow Board of Trustees member Larry Shadek '72, P'05, P'06, who with other members of the Shadek family made the $5 million leadership gift to launch the stadium project. "We really wanted to help our friend Larry Shadek complete his vision for enhancing the athletics experience for students. We have always believed that athletics, both varsity and intramural, give rise to great examples of teamwork and sportsmanship for all to follow," said Brooks. "At the same time, we are glad to help the College ensure that the stadium is funded almost entirely through philanthropy." Brooks has served on the College's Board of Trustees since 2005 and is currently a member of its executive committee. He is also a founding member of the Diplomat Athletic Club. 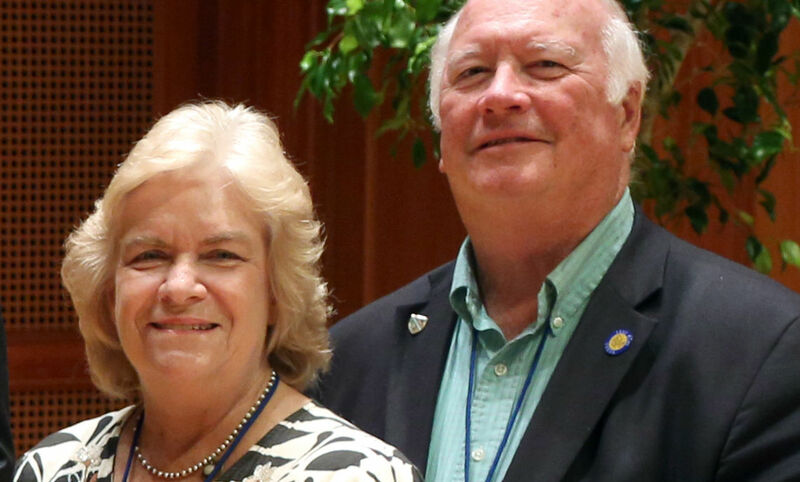 Previously, the couple supported the relocation of the College's tennis facilities, now known as the Brooks Tennis Center, and in 2009 donated $2.5 million to F&M to establish Brooks College House. 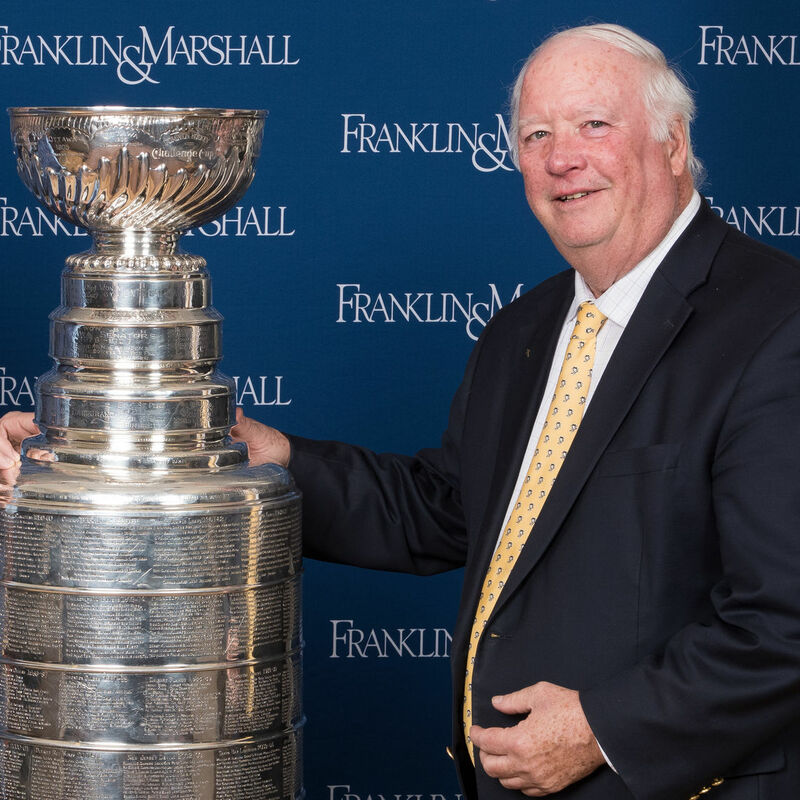 "Like the names engraved in the Stanley Cup that Bob has twice brought to campus following NHL championships won by the Penguins, he and Sue etch even deeper the Brooks name in the history of the College with their latest gift," said President Daniel R. Porterfield. "Athletics have always played a major role in our efforts to develop the whole student, promote health and wellness, and create opportunities for students to develop their leadership skills. That's why enhancing the student-athlete experience is an important goal of our current strategic plan, and why we are so grateful to Bob and Sue Brooks for their generosity in helping the College achieve those goals." The F&M Alumni Association Board presented Bob Brooks with the Alumni Medal, its oldest and most distinguished award, in 2011 in recognition his sustained and outstanding service to the College. A message acknowledging the Brooks' latest gift will be added to the stadium's scoreboard, said Vice President for College Advancement Matthew Eynon. Bob Brooks earned his undergraduate degree in mathematics at F&M before receiving an MBA from the University of Pennsylvania. Having retired as the executive vice president of strategic development for the Westinghouse Air Brake Technologies Corp., he serves today as the mayor of Murrysville, Penn., a position he has held since 2010. The Brooks' son, Jim, graduated from F&M in 1998 and is the president of the Allentown, Pa.-based Lehigh Phantoms of the American Hockey League.